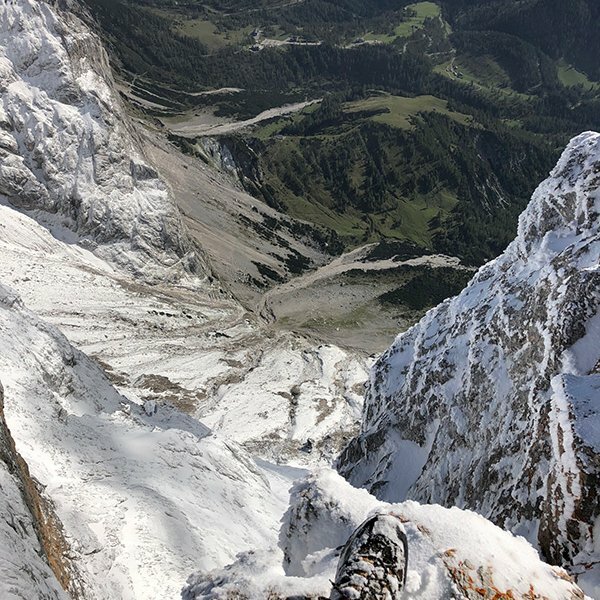 The new Seethalerhütte (a mountain hut operated by the Austrian Alpine Association) is at an altitude of nearly 3,000 meters in the glacier region of Dachsteingebirge, Austria. A sustainable concept and logistic expertise was required to create a suitable energy supply. 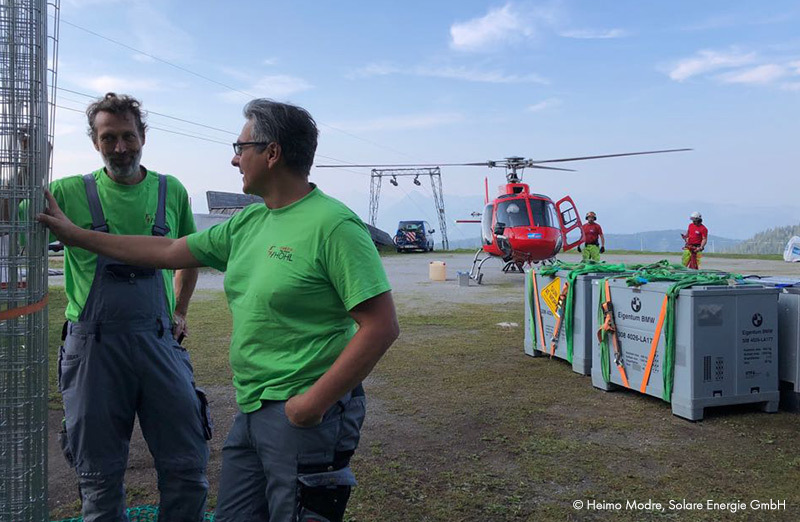 A helicopter on a mountain peak and permanent wind was part of the everyday work of Heimo Modre and his team, who were rewarded with a glorious view and the opportunity to work on an unprecedented project. An icy -12° and snowdrifts are typical in the region where the Seethalerhütte is located, which is at an altitude of 2,740 meters in Austria. However, there are no chilblains here, just warm clothing. During his time in the Dachsteinebirge region, warm clothing was part and parcel of the equipment needed by mountaineer and project engineer Heimo Modre. Despite the challenging conditions, there was nowhere he considered more beautiful than the Seethalerhütte. 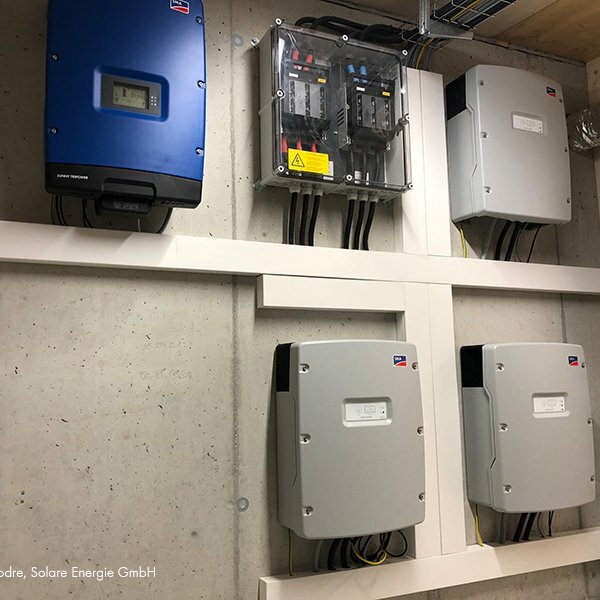 This is because he and his team from Solare Energie GmbH in Waidhofen an der Ybbs have spent recent months installing the Seethalerhütte’s energy concept. “Over the past two years, I have spent almost more time here than at home in my own living room,” said Modre. “But when you think about what we’ve done here, it’s definitely been worth it.” And he should know. 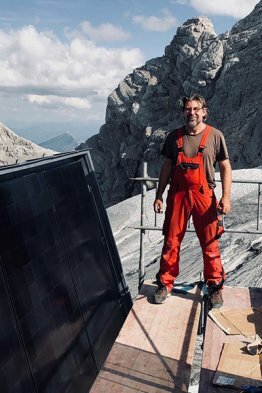 Back in 1989, he set up the first off-grid system with a PV system for a mountain hut and has devoted himself to this area of interest ever since. 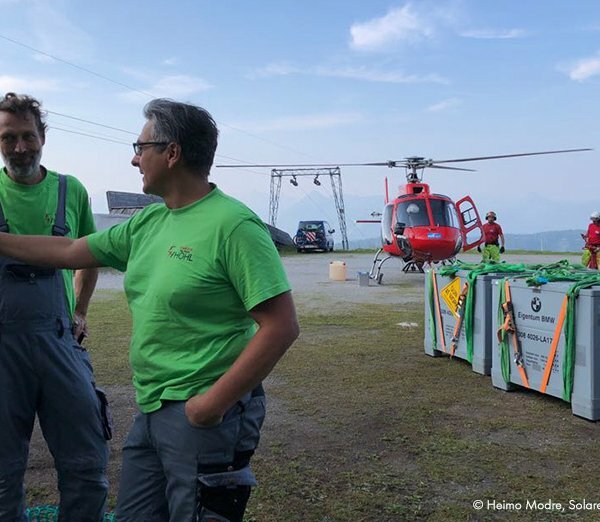 Solare Energie GmbH is already being noticed for this challenging project, conducted at almost 3,000 meters above sea level. 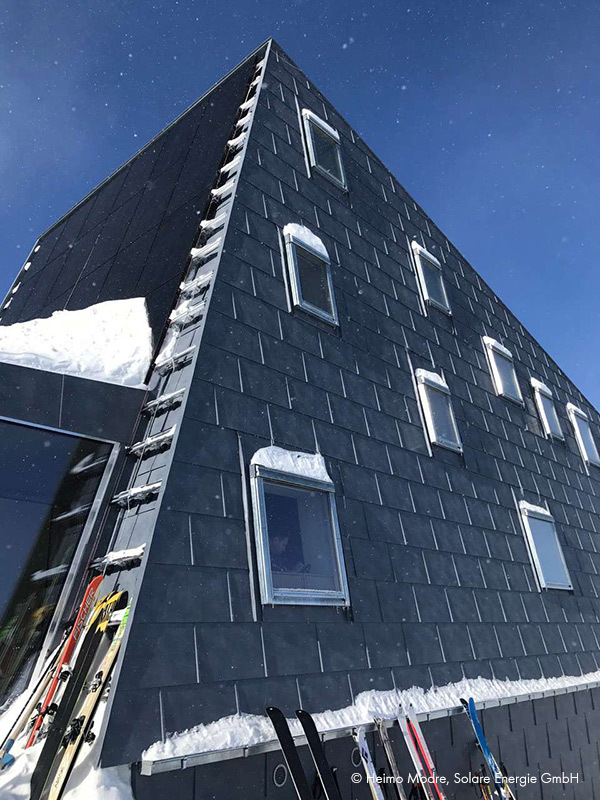 On March 22, before the Chamber of Commerce of Lower Austria, Modre presented his energy concept “Lithium on the rocks” for the new Seethalerhütte as part of a competition seeking creative ideas for the future. The jury will officially choose the innovative project winner on April 12. We’ll keep you posted. Enjoy some of the special moments during construction and take a look behind the scenes of the Seethalerhütte. What is the greatest challenge in a project like the Seethalerhütte? The logistics are particularly challenging here. 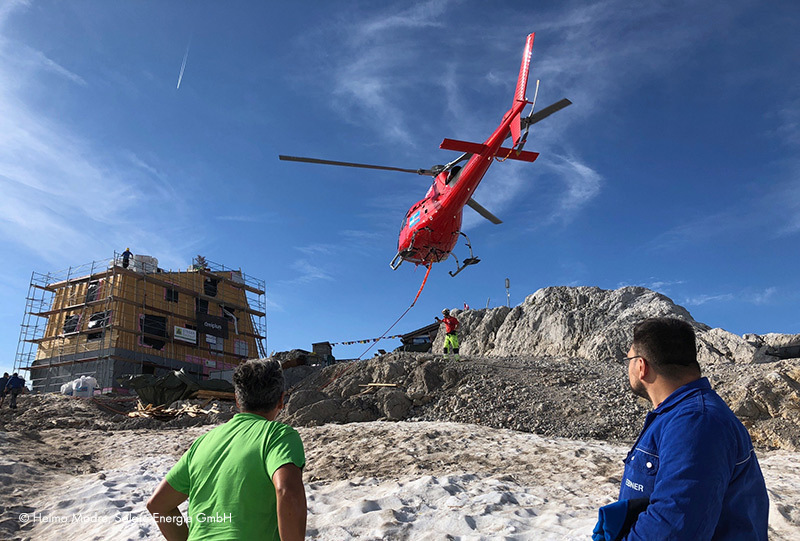 All the work had to be performed from a helicopter and rope at an altitude of almost 3,000 meters on a mountain peak. The constant wind was not always in our favor, but the team did an outstanding job. First, the sunrises. It’s an absolute privilege to work at locations like this. 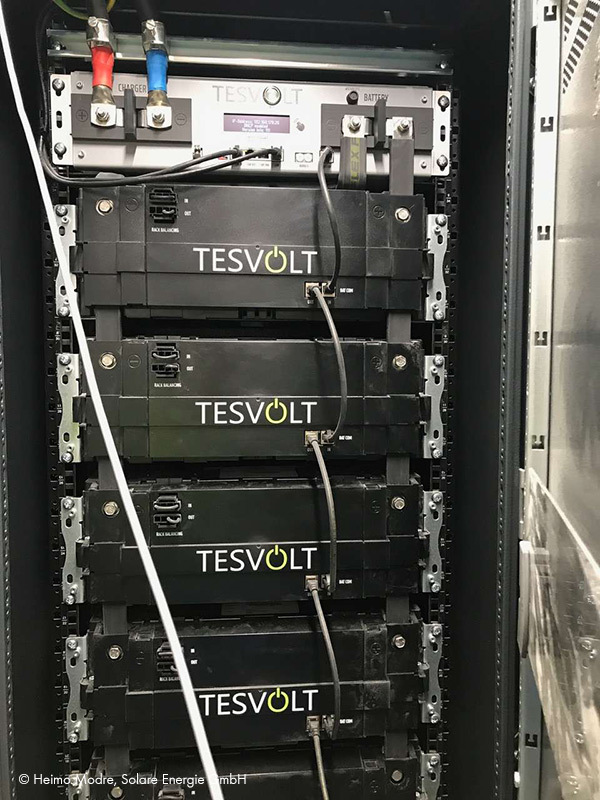 And second, it’s a real pleasure to work with the high-quality components from SMA and Tesvolt. Especially in locations like this, we have to be able to depend on the technology and the support we receive—and that was completely flawless. We would also like to mention our client, the Austrian Alpine Association, which demands the very highest standards in quality and expertise. As a highly specialized team, we want to be involved in many more projects in which we harness the earth’s natural energy to meet the energy demands of our partners and customers. 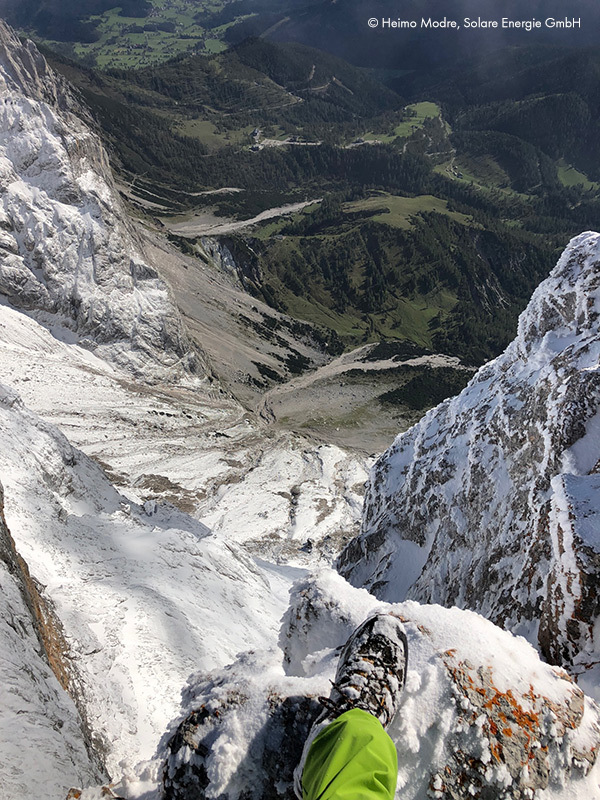 The Seethalerhütte was built in 1929 and had been modified several times up until a few years ago, when it was discovered that because of permafrost this popular hiking destination in the Austrian Alps was at risk of sliding into a crevice. In February 2016, the Austrian Alpine Association announced an architecture competition to replace the building. 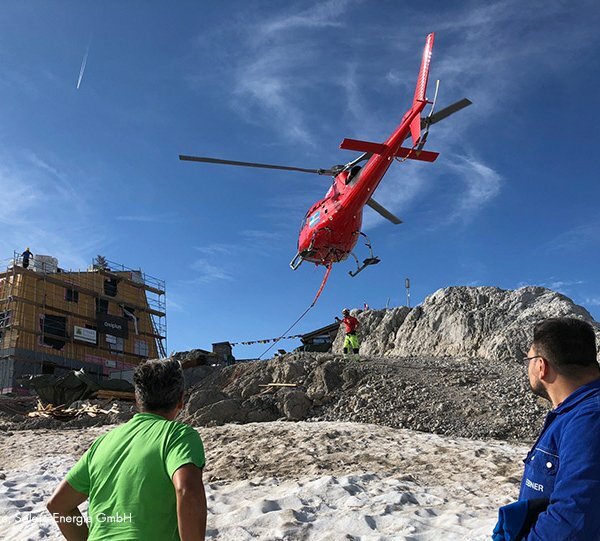 The requirements were that the construction material and outlay had to be sustainable and suitable for the roughly 100-year service life of an alpine hut, so it was important to strike the right balance between nature conservation, the environment, mountaineering, tourism and safety. 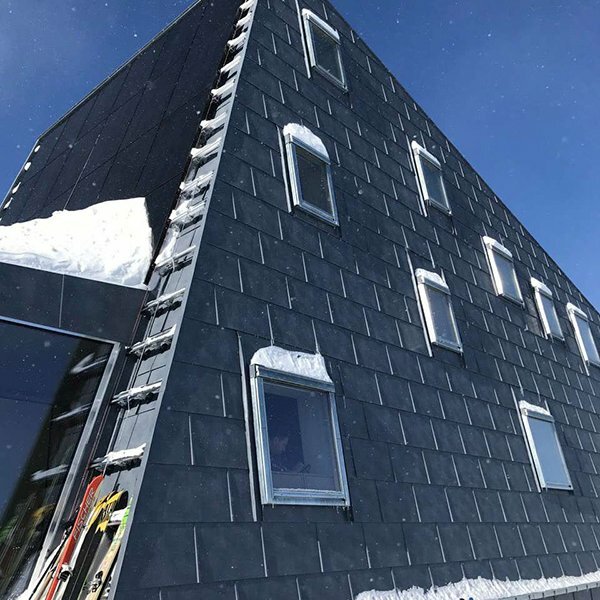 The proposal submitted by Innsbruck-based dreiplus Architekten ZT GmbH impressed the jury because it required a very small construction area, featured a PV system integrated into the facade and a drinking water treatment system. A PV system including a battery storage system and a combined heat and power plant based on rapeseed oil generate the necessary power, saving on the roughly 1,200 liters of diesel that the old building consumed every season. The PV system supplies around 60% of the electrical energy, with the remaining 40% provided by the combined heat and power plant. Any energy surplus is temporarily stored in batteries and made available whenever needed. 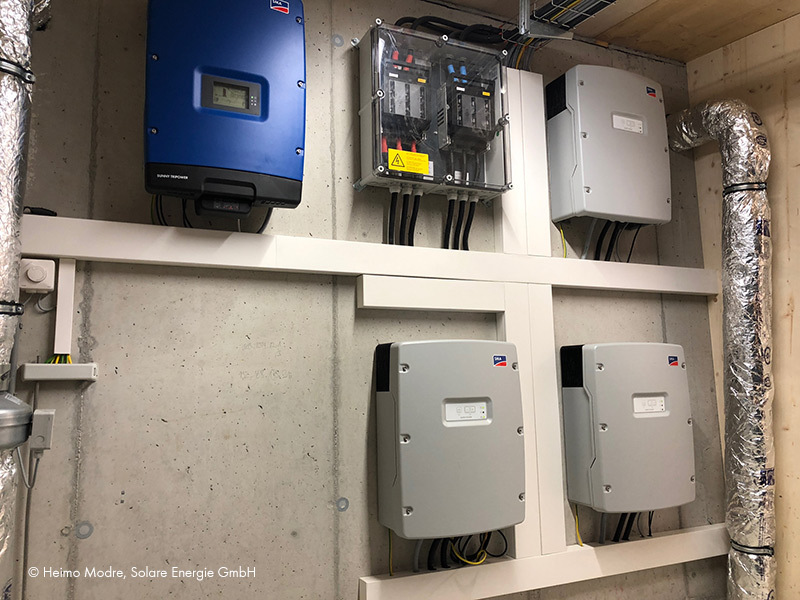 Because the Seethalerhütte is not connected to the utility grid, the Sunny Island battery inverters are responsible for grid management. 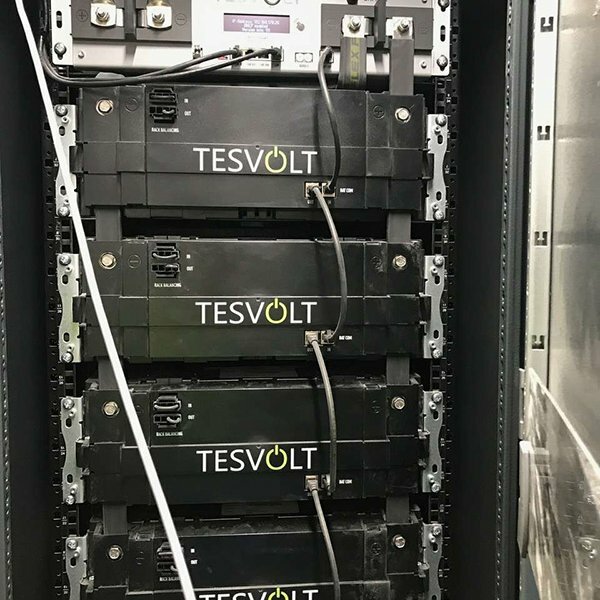 They constitute the stand-alone grid and automatically ensure that the amount of energy required is available at all times. The combined heat and power plant based on rapeseed oil acts as a “bad weather power supply” and supplies energy during months where there is little sunlight. It also feeds excess electrical energy into the batteries. The heat is decoupled by means of a heat exchanger and piled into the buffer storage systems via a heating pump. This waste heat can be used for heating the hut and service water, which means that the total efficiency of the combined heat and power plant is more than 80%.